As you get settled into 2019, chances are you’re looking to the year ahead to plan for conferences and events that you and your team will attend. It’s important to set goals to stay updated and ahead of industry trends and best practices, and there’s no better way to accomplish this than by attending and participating in talent acquisition industry events and conferences. 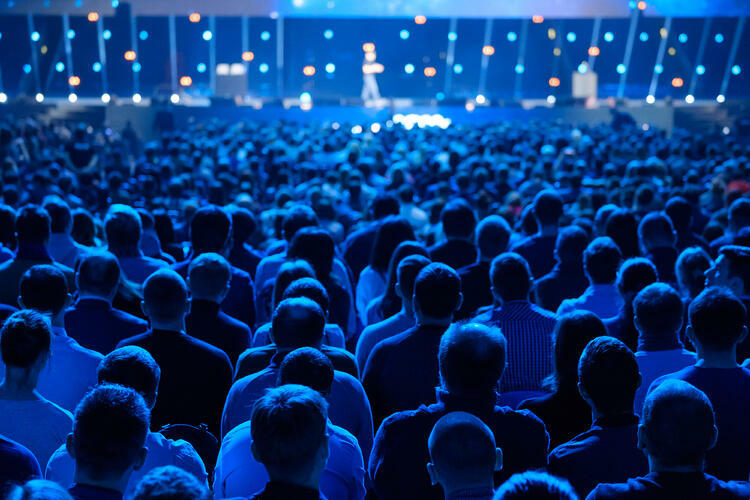 While the number of HR and talent attraction conferences continues to climb, we’ve put together a roundup of 20 such events you’ll definitely want to consider as you plan for 2019. You can also find someone from the Recruitics team at some these upcoming events. Click here to see where Recruitics will be this year. If you’re planning to attend any of these and want to connect, let us know! The Recruiting Trends and Talent Tech conference serves as a great tool to learn about new, innovative talent acquisition approaches and emerging technology. Beyond the technical aspect, this event also provides a great amount of insight on the art and science of talent acquisition and can provide you and your team with a comprehensive program to position any professional on the leading edge of today’s competitive talent market. The SIA Executive Forum North America event is a well recommended conference for CEOs, owners and senior-level staffing/workforce solutions executives from companies of all sizes. It highlights the necessary strategies to take your staffing company to the next level. This year’s agenda has a line up of several great keynote speakers who will be honing in on the concept of leadership. A few topics of conversation that you should look forward to are: Leadership and the New Principles of Influence, The New ABCs of Moving Others, Modern Communication Helping Leadership Understand What’s Really Going on In Their Businesses and Braking Through the Barriers to Growth. Are you ready to step your game up and attract the best talent in town? Well HIRE19 may be the conference for you! This two-day retreat offers amazing learning sessions from a handful of industry leaders who make it their duty to bring thought-provoking perspectives on talent acquisition and help take your game to the next level. The lineup is filled with several intriguing topics such as Blockchain in Recruiting, Humanizing the Recruiting Process, Going Hunting with a CRM and Bringing Data to the Board Room. Be sure to join this community of forward-thinking leaders and professionals to shape the future of your recruiting, this is an opportunity you won’t want to miss! RecPlus is the ideal getaway for industry insiders to not only explore the exquisite scenery of Barcelona, but to network and analyze the real changes in our industry. This conference is structured to gather the top speakers, major job boards, technology providers, start-ups and investors to aid in making your business future-proof. The Unleash Conference & Expo is a true highlight, it brings together thousands of decision makers, visionaries, technology buyers and disruptors to showcase smarter ways of working. Highly recommended, this conference allows you to engage with a community of people to reimagine current ways of working and to solve tomorrow's problems today. This event will allow you to walk away with an array of actionable business intelligence and technology to help solve any of your company’s challenges and establish a better network of like-minded professionals. Some of the leading topics being covered within the 2019 conference/expo consist of: The Next Generation of Career Mobility, Digital Transformation at Bayer: How to Get the People on Board, Reinventing LEGO Group’s Leadership and Collective Tech Experiences & The Future of Teams. The hospitality field has always played a major role in not just the industry, but also in society. The HR in Hospitality event was created with HR hospitality professionals and attorneys in mind. This seminar serves great purpose when considering applying employment law and hospitality labor. Your able to engage with seasoned attorneys and professionals who know the in’s and out’s and do’s and don’ts and are willing to guide you accordingly. The principals taught are designed to allow you to effectively respond to legal issues, avoid costly and potentially devastating lawsuits, gain personalized guidance on specific responsibilities and network with HR professionals facing the same or similar challenges. This conference has been designed to provide executive-level HR leaders with a customized blueprint for creating the future of work within their organization. Each year, it brings together the most prominent Human Resources leaders and entrepreneurs from around the world that work together to establish ways to transform the workplace in a positive, efficient way. With over 24 guest speakers, this gathering is one that you won’t want to miss. Covering topics such as managing an ever-changing, multi-generational workforce, improving the full lifecycle of employment through the application of data and analytics, as well as diving into how technology can help to create a sustainable competitive advantage. It’s all about optimizing the talent supply chain, isn’t it? Work is no longer defined as permanent or contingent, it is now focused on the how, when and where people choose to work, which requires new ways of managing talent programs. This two-day convention is great for staffing suppliers, workforce solutions buyers, RPO providers and all others interested in the workforce solutions ecosystem for an intensive look at maximizing value and optimizing the talent supply chain. The practice and process of hiring always plays a major role in a company and how well they produce. This conference is highly recommended for those seeking professional development in the HR space. By attending, you are sure to gain the tools and resources needed to implement successful HR practices geared towards your company’s success. There are several multi-day offerings that are comprised of educational programs, senior leadership programs and workshops. The educational programs are designed to address the evolving needs of HR professionals, from entry-level to senior leaders. These programs provide knowledge, leading strategies and innovative solutions through comprehensive, competency-based education. The TAtech summit offers an intimate setting for thought leadership and collaboration among executives, managers and senior professionals in the recruitment marketing industry. Sponsored by Smashfly, this event has some of the most prominent CEO’s, founders and directors serving as speakers. Each are set to cover a range of topics such as: Your World in 2050, How Will Recruitment Marketing Change the Corporate Recruiting Funnel, Social Media Strategies for Recruitment Marketing and The Essential Elements of Recruitment Marketing Success. If you’re looking for a conference that is geared around growth through engagement, this is a highly recommended summit to attend. The ERE Recruiting Conference provides talent acquisition professionals with the ability to learn the best solutions to improve recruiting at their organization. The speakers featured at this conference are chosen because of the results they are having and their strategy of success. The real-life illustrations allow attendees to take the information shared, tie it in to their own business and execute on the challenges with actionable solutions. Calling all CEOs of recruitment advertising and talent acquisition technology companies in Europe! TAtech is the trade association for the global talent acquisition technology industry, and collectively, its members power over 70,000 sites and provide technology-based products and services for every facet of talent acquisition. From business leaders, technology experts, content developers to sales and marketing professionals, analysts and investors this event brings everyone together to cover high impact trends, innovative business practices, target trending issues critical to effective organization performance and business metrics and standards. Unleash America is the #1 gathering place for all those who thrive on the work revolution and HR technology. This function attracts an exclusive community of leaders, innovators, influencers and workforce technology buyers helping transformational organizations identify and apply the right technologies and solutions for the future of work. With over 100 speakers presenting across two days of keynotes, breakout sessions and product demos, be sure to bring your team so that you don’t miss out on the key details provided for your HR digital transformation. TAtech summits are a great way to get connected and collaborate among executives, managers and senior professionals in the talent acquisition solution industry. This year’s Programmatic Ad Buying session was solely developed to focus on the application of programmatic technology in recruitment advertising. There are several styles being used in order to deliver the information appropriately, some of the approaches being utilized consist of keynotes, presentation and panels, moderated discussions and case studies. Attend HCI’s 2019 Strategic Talent Acquisition Conference to learn how to beat the talent crunch in your organization by leveraging an array of strategies, tactics, and tools that go beyond a siloed approach to recruiting strategy. Explore the business cases for partnering with educational institutions to build the skills you need and investing in internal recruiting to leverage the people you already have. Use new selection techniques to hire for performance and retention. Get a crash course in TA analytics to make data-driven recruiting a reality at your organization. Talent42 is the national conference focused 100% on helping recruiters hire top technology talent. They bring useful resources to the convention such as keynotes from engineering leaders, tech recruiting leader presentations and panels, hands-on roundtables, and training. Companies like Apple, Facebook, Amazon, Google, Target, Costco, Uber, Disney, Nike, NBC, Etsy, and many others send their tech recruiting teams to participate in this practical conference that’s all about sourcing, interviewing, and closing the best tech talent on earth. There is no better place for HR professional development than SHRM’s Annual Conference & Exposition. By attending, you’ll gain the tools and resources you need to implement successful HR practices. Internationally-renowned speakers that offer fresh points of view and inspiring stories will help shift your perspectives and deepen your understanding of a broad range of HR topics and workplace issues. SIA Collaboration in the Gig Economy is the fastest growing, collaborative and leading-edge conference of its kind. Join staffing suppliers, workforce solutions buyers, VMS, MSP & RPO providers, suppliers to staffing, gig economy and human cloud companies and others interested in the workforce solutions ecosystem for an intensive look at maximizing value and optimizing the talent supply chain. LinkedIn Talent Connect brings together thousands of their global customers to discuss the future of work, network with other forward thinkers, and the ability to leave inspired when it comes to making an impact. Attendees that have gone to the conference in the past have experienced an exclusive opportunity to engage with some of the most progressive thought leaders and practitioners working in recruiting, diversity and inclusion, employee experience and company culture. It’s a fun, engaging and informational conference that you may not want to pass up. HR Tech is a great place to get the whole picture of the HR technology market. Whether you’re looking to increase your knowledge to buy and effectively implement new HR systems or to stay on top of this rapidly changing industry — your organization’s success starts here. As the industry’s leading independent event for 20+ years, HR Tech has been a key catalyst for tens of thousands of HR and IT executives in their quest to leverage technology and secure HR’s role as a pivotal component in their company’s overall success. Here are a few of this year’s recruitment marketing and talent attraction conferences and sessions that are sure to bring you and your company a great amount of knowledge. Not only will you have the ability to engage with some of the best industry professionals from around the globe, but you will also create new connections with fruitful individuals who can help you get to the top and stay on top!